The condo that Will Smith rented during the filming of Men in Black 3 for $85,000 a month is now on sale for $20 million. Or in Will Smith's case the salary for starring in Men in Black 3 (not including a percentage of the gross earnings, which he most likely gets). The Fresh Prince threw down for this condo, in spite of a offer for a free stay in the penthouse of a new high-end building in Brooklyn. Like how Will Smith renting the condo gets free press for the seller through posts like this, the developer of the Brooklyn penthouse offered several perks to try and sway Will Smith to stay to help promote his building. The free penthouse featured 16-foot high ceilings and mezzanines, floor to ceiling glass and custom European cabinetry. On top of this, the developer also offered Smith and his family free meals delivered by a nearby Choices Market. Another perk was for free chocolate massages during his filming… Outside of it sounding creepy, a chocolate-type massage couldn't be all that convenient in between takes. 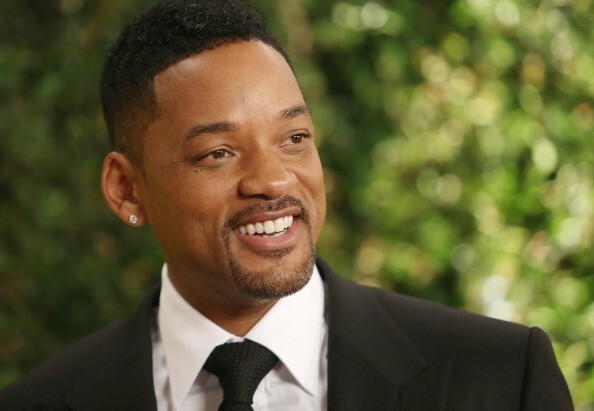 Instead of that free offer, here's what Will Smith dropped $85,000 per month for instead. The $20 million condo, which doesn't include the $9,000 monthly fees, is found on Bond Street, New York City and has 5 bedrooms and 6.5 bathrooms over 7,300 square feet. To help rack the price tag up, the condo features a range of luxury amenities. It has Jacuzzi-size bathtubs, walk-in size closets, dressing rooms, an office, and four wood-burning fireplaces. On top of that, it has a huge balcony that can be used as a library and a bronze elevator brings you directly into the condo. And that wasn't enough to hold all of Will Smith's star power. He also had two luxury double-decker trailers rented for him to use closer to set, both costing $36,000 a month each (one was used just as his personal gym). The trailers are called "The Heat" and are made by Anderson Mobile Estates, and are known for supplying top celebrities with their high-end trailers. Check our "Baby Girl", it's the trailer that Aston Kutcher is using while filming Two and a Half Men, costing around $35,000 per month.